I have always wanted these fun kinda coasters.So I made these coasters with the cork coasters I bought from IKEA and used Acrylics on them. 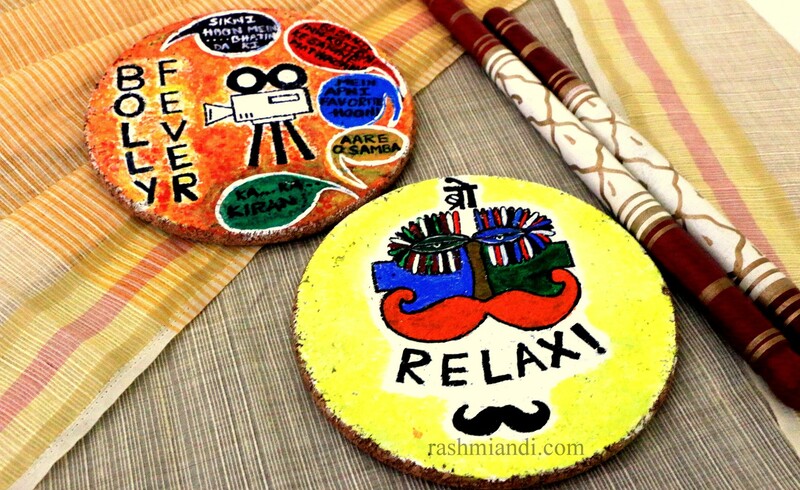 You would already remember my tutorial on DIY Warli cork coasters if you don’t you can click on the below link. 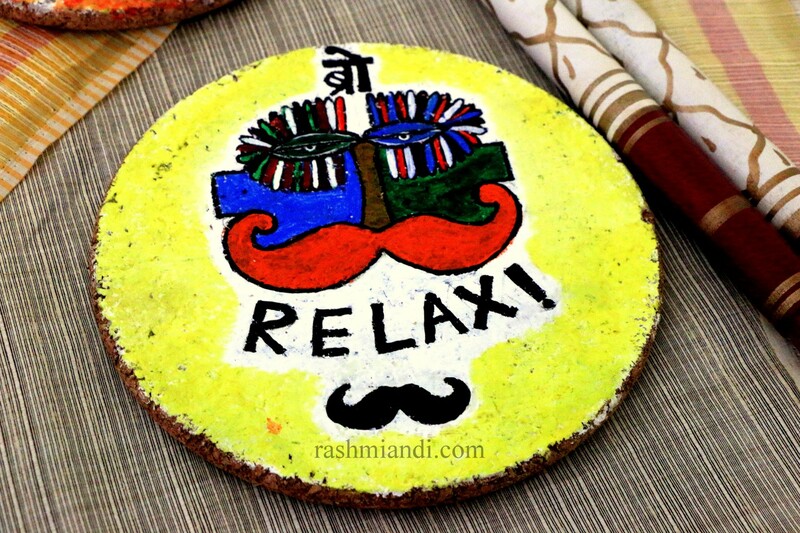 I have made use of the same procedure as of Warli coasters. 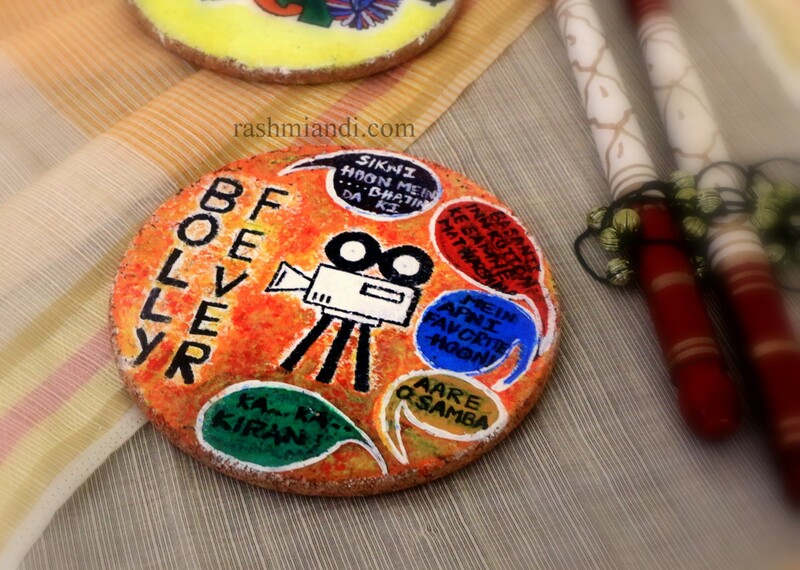 So here I have one coaster which says ‘BRO RELAX’ and the other says ‘BOLLY FEVER’. Bolly Fever is based on the theme Bollywood which happens to be one of my favorite. I have some of the Famous dialogues painted on the coaster.